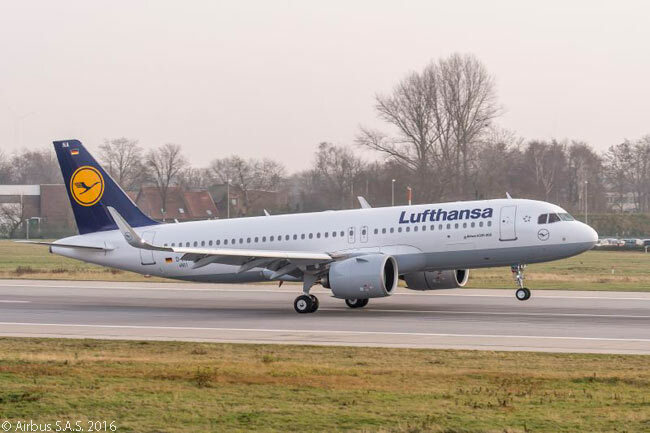 The Lufthansa Group, Airbus’ largest airline customer and operator, has taken delivery of the first Airbus A320neo to go to a customer. 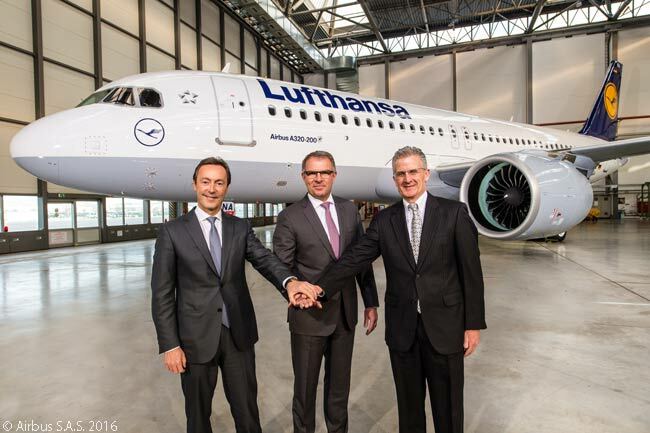 Lufthansa, the namesake flagship airline of the Lufthansa Group, is the carrier which has taken delivery of the first customer A320neo. The occasion also represents the first delivery of Pratt & Whitney PurePower PW1000G-family geared-turbofan engines to any operator. Equipped with PW1100G-JM engines, the A320neo will burn 15 per cent less fuel than current-generation aircraft from day one, according to Airbus. The manufacturer says that figure will improve to a 20 per cent differential by 2020 as Airbus continues to improve the A320neo design in service. “Featuring the leading technology of Airbus and Pratt & Whitney, the A320neo is by far the most efficient and most silent aircraft on short- and medium-haul routes,” says Carsten Spohr, chairman of the Executive Board and CEO of Deutsche Lufthansa AG. “Today we prove once again that as an aviation company and airline group we are pioneers in the development and introduction of technical innovations. In this year alone the Lufthansa Group will receive a total of 52 new aircraft, a number we have not received in years,” says Spohr. To date, Airbus has won firm orders for almost 4,500 A320neo-family jets from nearly 80 customers. Lufthansa Group’s Airbus orders have reached a combined total of 582 aircraft. These include 386 A320-family single-aisle jets, of which 116 are A320neo-family aircraft (71 A320neos and 45 A321neos). Also among the Airbus aircraft which Lufthansa Group has ordered since Airbus began manufacturing in the 1970s are every family of widebody jets the manufacturer has produced. Lufthansa Group carriers have operated A300B4s, A300-600Rs; A310-200s and A310-300s; A330-200s and A330-300s; A340-200s, A340-300s and A340-600s; and A380s, of which Lufthansa has 14 in service. Through Lufthansa, the group will also operate the A350 XWB. To date, Lufthansa has ordered 25 A350-900s and it will take delivery of its first A350-900 later this year.